Heal emotional pain, master your emotions, increase mind potential and you will discover when your heart and mind work together, you can live a fuller and more empowered life, than you ever imagined! 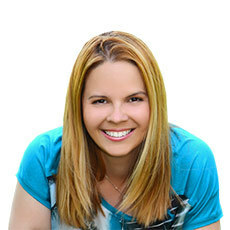 Catherine B. Roy is a Bestselling Author, CEO and Founder of “Live from Your Heart and Mind” (LHM), Heart and Mind Coach, Human Potential Thought Leader, MENSA member and Award Winning Artist and Scientist whose stimulating, upbeat and inspirational writings have helped countless people in the world. Catherine enjoys the distinction of receiving the 30 Under 30 Young Leaders award and is also an experienced IT System Architect as well as a linguistics researcher with published scientific works in the fields of pragmatism, communication and psycho-linguistics. Catherine is certified in the fields of positive psychology, assertive behavior, emotional behavior, emotional intelligence (EQ) and intelligence (IQ). Catherine’s writings are published on The Huffington Post, Simple Reminders, SRN, GoMcGill Media, Positive People Linking, Shining Mentor Magazine, The Wellness Universe, Guided Mind, The Spirituality Post and many others. Catherine was featured as a guest expert on Master Your Emotions Summit , Wholehearted Parenting Summit, Intimate Conversations: Start Living Instead of Merely Existing, Midlife Mastery Summit, Moms Creating Miracles Summit and many more. Catherine also has been a participant of many international conferences in the fields of leadership, peacemaking, diplomacy and international cooperation. As the author and founder of “Live from Your Heart and Mind” and its vast community, Catherine is the guiding force behind the LHM team and the system for increasing a person’s emotional and intellectual capacity, and inspiring them to positive change and accomplishment. Catherine is an exceptional human being who brings a level of excellence to everything she does in life. Her beautiful energy permeates through every project that she is involved in and she is exceptionally dedicated to making the world a better place for all of us, and for future generations to come. Her writings come with a depth of wisdom that is beyond her years and she is someone that would be highly beneficial in any arena of life. I would highly recommend working with Catherine. “Live from Your Heart and Mind is a truly wonderful platform, filled with inspiration and hope from a community of writers. Catherine has created a platform of beauty with motivation and uplifting words for everyday reading for all her followers. I enjoy “Live from Your Heart and Mind” for the inspiration and positivity. Thank you for uplifting my spirit, Catherine! - Julia Hardy, Human Potential Thought Leader , Author of Holistic Pathfinders. With Julia. Catherine is a living example of “being the change you want to see in the world”. An accomplished author, writer and influential Thought Leader at SRN.NET (Simple Reminders Network) she motivate and inspires her clients and the community, by her wisdom and passion. I recommend Catherine as someone who will align your heart and your mind to fulfill your greatest potential. Catherine is a thought leader and a very dedicated and proficient author in the field of personal motivation and inspiration. Her works and entrepreneurial activities aim to improve humanity by inspiring people to become the best they can be. Her creativity and work ethic are of the highest professional standard and it is an honour to be connected to her. Catherine is a beautiful soul…who is focused on making the world a better place. She has amazing networking skills, focus and persistence. Catherine would be a major asset to any job or writing project. Catherine is up to big things! Catherine has wisdom beyond her years! Don’t let this young captivating lady fool you… Her heart is filled with love and light and her services clearly reflect a genuine commitment to customer service and quality. Thank you Catherine for inspiring me! As a member of The Wellness Universe, Catherine is “Officially Changing the World”! She gives her heart and mind with just one aim – to make our world a better place. Her wisdom and kindness are unique and I’m honored to work with her. She is an extremely professional and very accomplished businesses woman who develops great connection with everyone who is given the opportunity to work with her. Catherine B. Roy is a very accomplished businesses woman, author and artist. Her newest book, Live from Your Heart and Mind, is just an astounding treatise on how to solve relationship and emotional problems and achieve a richer, fuller life that is full of happiness and success. Everyone should read it and everyone should try it. You have nothing to lose and everything to gain! Catherine is a brilliant writer and caring person who shares her wisdom with others. I was so impressed with her work I featured her in Issue #16 of The Spirituality Post. Catherine Roy is a beautiful woman, even know I have not known her for a long time it almost feels like we known eachother forever… Just experiencing her energy and drive has inspired me that there are still great and wonderful people in this world. I wish I knew 50 different languages to say „Thank you“ in because I don’t think one „Thank you“ is enough to describe how much I appreciate her. Of course I was a little skeptical, but hey what did I have to lose. I have never met a woman like Catherine before, but in a world where there were so many classy women it is easy to fall for the wrong person. And let me not forget her website, oh my God… I just love the approachable format, and the fact that you can chose is what I really related to. When you click into any story, you can read the whole study format. Many people struggle to grab your attention using their talent behind the pages, but Catherine does a great job of catching your eye as soon as you arrive to her… She has mines. The opportunity to meet with such a diverse type of people in my life has been invaluable but understanding Roy is like being with family; it doesn’t ever feel like ‘i’m some sort of person’. We all strive for excellence in our personal capacity, all my life its been what appeared to be a rollercoaster ride 7 years ago but when I am talking to her, everything is at a peace of mind. What makes Catherine stand out to me is that like her every woman has a stake in a friend’s success. She is very team-driven, and she operates in a way that puts collective goals ahead of individual glory. This woman offers an enjoyable, international atmosphere where you can really see results and progress every single day. For me it’s energizing to have a flexible, reliable person on my team, on my side and in heart but at most what catches my mind about her is she can move conversations ahead at a fast pace, without losing quality standards. But in the future Catherine, I hope that we gaine valuable experiences together and have built up an equally valuable relationship for my peace of mind to yours… So in the end of it all, after talking to her for the first time, I feel as if I met a woman who I would have never crossed paths with if it wasn’t for her amazing personality. Thank you Catherine, for your amazing life, mind and heart. It has been an absolute pleasure to get to know Catherine and become acquainted with her writing and her work. She is a true example of what it means to be living in your light. From my very first contact with her it was clear to me that she embodies the messages she shares. Her compassion and sincere love of all beings are an almost tangible force. Masterful and deeply insightful, her formula for love and happiness are critical messages not just for an individual’s success but for bringing forth a greater good on this planet. I am inspired by her work and believe that her continued growth will be benefiting all those who seek her service and beyond. Catherine B. Roy is an amazing human being helping others to understand the beauty of their existence and how to best find success in everyday living. She openly and authentically shares her wisdom, kindness and compassion with humanity. Catherine, without question, inspires and empowers all those who are blessed to be a part of her tribe. It’s my greatest honor to be her colleague and fellow champion for world well-being. Live from Your Heart and Mind I’ve found is a wonderful place where we can express our views and beliefs while we are among friends. We all grow here together with thanks to all inspiration. We are handed our previous generation’s beliefs, but here we can try to shed light on humanity with LOVE and understanding. I can confirm and testify that I’ve found Live from Your Heart and Mind a foundation to explore and find new ideas in my search for my inner growth. I look at Live From Your Heart and Mind as a treasure trove in my quest for spiritual truth. I’ve found friends who understand me and can offer support and guidance, or just a friendly ear when needed. I’ve found here a place to understand my own growing awareness of the differing levels of understanding of consciousness. It’s important to understand at which levels our friends are working from as here we all help each other in our growth and it’s great to know that even if I share key concepts of universal laws there is someone who will understand me. I am very thankful to Catherine B. Roy and LHM team for this beautiful creation they are making. Thank you Catherine, you have given a great service to humanity and the Heavens. Love you. There is some unconditional love inside her. I remember the time when I mailed and wanted to reach hundreds of ‘personal development’ bloggers and Catherine was one of <5% who took time for me and she didn’t even know me before. What I love most at Catherine is that she speaks BOTH languages. The language of mind and the language of heart. Mind help us to understand and think, heart help us to feel and be spontaneous. Both are needed in the present world if we want to understand our life path and if we want to feel joy in every moment. She helps us to feel the joy and balance in moments we have, cause moment is all we have. Catherine Roy deserves the title young leader in the world more than I can say. Always positive and caring for others. We need more people like her on this planet! She is renewing smart and will make you see things from a different angle. Proud to be a witness of her story! She is just gorgeous! When I first met her, I just know that she is a great person and that we’ll be good friends. Her honest, childish happiness and incredible life energy makes her sparkly and welcome in every sphere of my life. She brings smile on my face every time I think of her. Catherine B. Roy is one of those rare and glorious souls who beams with truth and inspiration. By sharing her authentic vision and spirit through all her communications and connections, she indeed Lives through her Divine Heart and sharp, witty Mind and empowers countless fellow heroes along the way. I am blessed to Suit Up and Soar with this Xtraordinary Game-Changer of our time and cannot wait to see where her adventure will lead us all next. Up up up and away Catherine! - Jennifer Maki, Author of The Mad Hero’s Manifesto, Founder of The Phone Booth Project and Owner of Project YES! Without ever having met Catherine in person, I sensed the beauty, compassion and love within her. Her soul shines brightly with sincerity in all she does. Her site is a beautiful extension of her beliefs about life, with suggestions and information to help you cultivate a happier, more balanced and loving life. To me, she is a light bearer, bringing light to all she touches helping you to shine your brilliant self by expanding your concept of living the life you love. I don’t recall when, but at one point, my dear friend Catherine B. Roy contacted me and told me that she thought I could help her make Live from Your Heart and Mind better, to accomplish what LHM set out to do, to use our hearts and our minds to expand our love and our awareness of the divine beings that we are! I could sense Catherine’s essence and the conviction of her efforts and the one and true answer to give her was Yes! LHM is a force for good, for love, to be a beacon, to help others, to expand love, spread kindness, to make our world a better place each and every day. I believe in Catherine B. Roy, her goals and aspirations and so I do with every fiber of my being, with all my heart and soul, pledge to do all that I can with my talents and abilities to help make her dream a reality! LHM has only just begun. The sky is the limit! Let us grow this Universe to a greater good. All done with LOVE! Catherine has written a phenomenal book and created an inimitable self-improvement system with Live from Your Heart and Mind. And it’s been my honor and privilege to work with her on this seminal project. A balance of superior intellect and genuine humility and compassion, Catherine is the real deal and sets an example for everyone to emulate and be inspired by. She is a professional colleague, fellow poet, deep thinker and philosopher, and a dear, true friend. And for this, I consider myself most fortunate and extremely blessed. I’ve known Catherine for a few years now and all I can say is that she continues to amaze me with all the extraordinary work she is currently advancing as part of her magnificent mission of service to the world. I love her determination and passion. She is all about love, happiness, success and balance so if you’re looking for a young and experienced leader that can help you on your path toward empowerment, Catherine is the one! “Catherine B. Roy's "Live from Your Heart and Mind" is a simple, fun, and practical presentation, of many powerfull techniques seldom made so accessible. It is an exceptionally researched step-by-step guide for improving your life through cultivating balance in your intellectual and emotional states. Catherine's own personal journey, passion, and unique blend of science and spirituality as an integration thinker will help you discover, that when your heart and mind work together, you can live a fuller and more empowered life, than you ever imagined!"